LanganBach Services Limited was founded in 1992 by Gerry Langan and Frank Langenbach, and is a wholly Irish owned company based in Bray, Co. Wicklow. We are leaders in the distribution of Diagnostic Kits and Reagents, Laboratory equipment and consumables to healthcare professionals in the Medical, Industry and Research & Development Sectors. Over the years we have expanded our business model to include products for Endoscopy, Phlebotomy and Theatre. 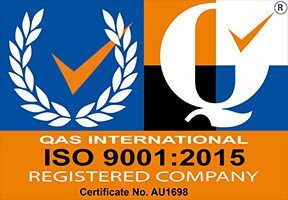 As an ISO accredited company since 2005, we take pride in providing a premium service with quality products. Since its foundation LanganBach Services has strived to meet its goals and objectives and is recognised for supplying a wide range of premier products from leading global manufacturers who are experts in their chosen field. We have experienced many changes over our 25 year history, but our ethos and goals remain the same, to adapt to our customer’s needs, continue our legacy of excellence with leading suppliers and manufacturers and provide a service of excellence to our customers.